The Grand Théâtre de Québec is a world-class performing arts complex that is the crowning jewel of downtown Quebec City. Designed by Polish-Canadian architect Victor Prus, the facility was originally proposed to commemorate the Canadian Centennial of 1967, although due to various delays, the venue did not open until January 16, 1971. Also housed within the complex are some 49 classrooms, 70 teaching and practice studios, a large library with more than 60,000 books, scores and more, and an in-house recording studio and electroacoustics lab. 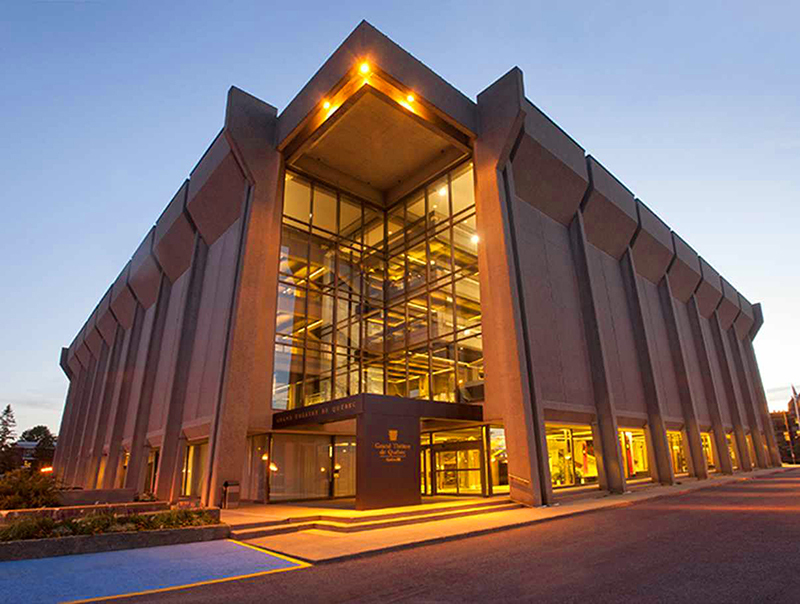 Presenting all manner of events — music, dance, theater, opera, comedy and variety shows — the Grand Théâtre de Québec is also the home of the Quebec Symphonic Orchestra, the Club Musical de Québec, L’Opéra de Québec and the Le Théâtre du Trident. 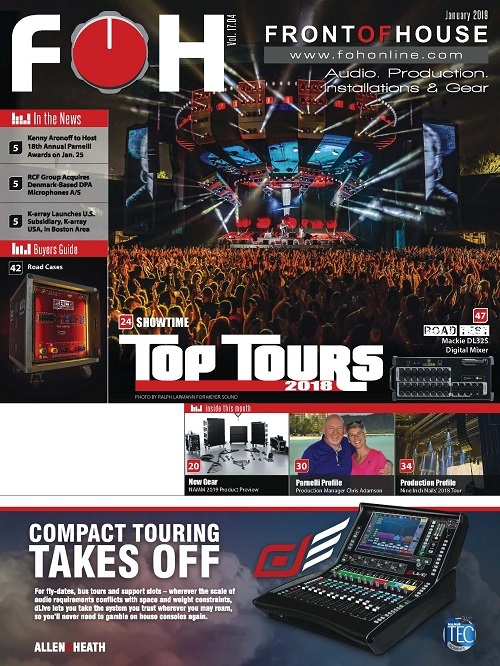 The broad spectrum of performance genres, combined with the need to host outside events, created the need for a versatile and high quality audio system. For its 40th anniversary in 2011, the Grand Théâtre de Québec upgraded the sound system within the larger of the two spaces — Salle Louis Fréchette. After a lengthy process of auditioning and evaluating a number of possibilities, the final system design incorporated d&b audiotechnik’s J-Series system for the main P.A. and elements of d&b’s T-Series loudspeakers for the fills. 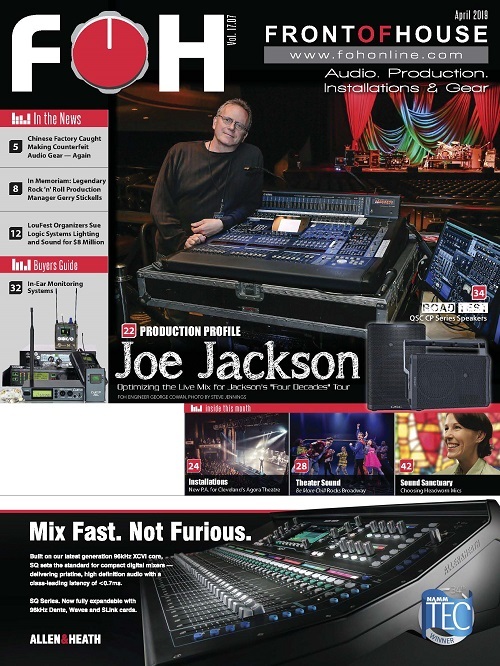 The rig includes d&b J8 three-way/dual-12 line array cabinets flanking either side of the proscenium in two hangs of eight. Two ground-stacked J-SUBs on each side (each with three 18-inch woofers providing a cardioid response) add ample LF punch. Side fills are comprised of one d&b C7 and two Q7s on each side, with four d&b low-profile, two-way dual 6.5-inch T10s employed as front fills and an additional seven T10s in a center cluster above the wide 76-by-40-foot proscenium opening. If required, 10 Meyer Sound UPM-1Ps are available for use as surround speakers on the main floor orchestra level. Available stage monitors include eight Meyer MJF-212A and 16 Meyer UM1-A wedges. 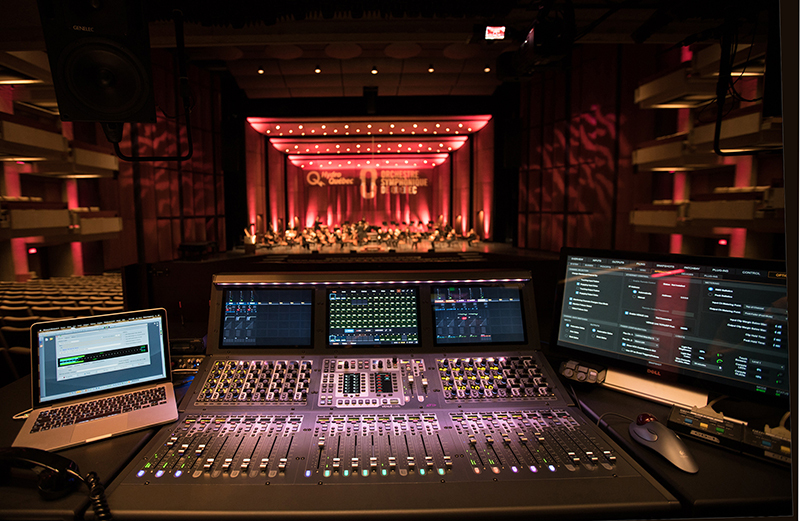 In 2017, the audio upgrade at the Grand Théâtre de Québec entered a major new phase — replacing its aging signal infrastructure and analog mixers with three Avid Venue S6L digital consoles supplied by Montreal-based LS Media (lsmediapro.ca). Two are permanent FOH desks in the larger Salle Louis Fréchette space and the smaller Salle Octave Crémazie room. 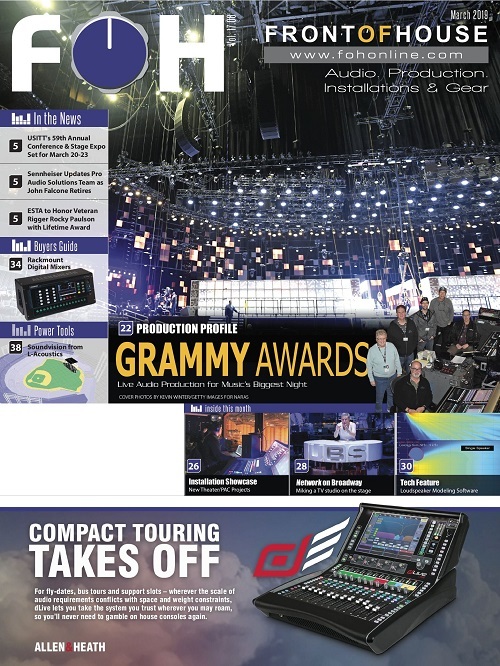 The third S6L is a floating system that can be brought into a monitor position in a full shared-I/O system as needed or used for other events in the venue or for pre-production work. 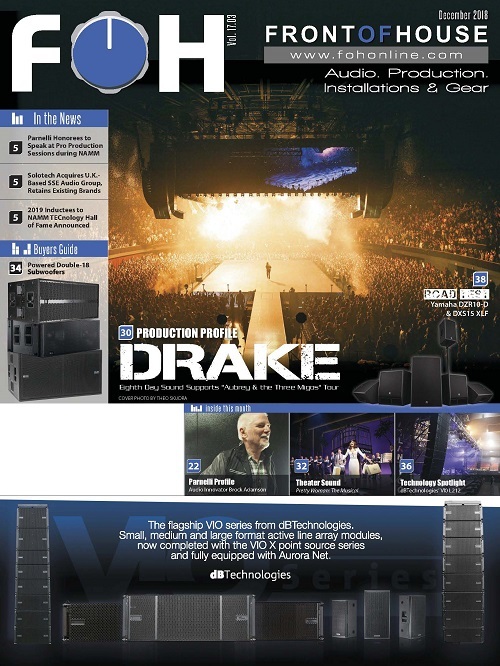 Although the system is completely network-based, relying on AVB audio, all stage inputs are available as a MADI digital split at 48k Hz and 96k Hz in order to offer some legacy. A MADI card in each venue engine adds further expansion of patching options. 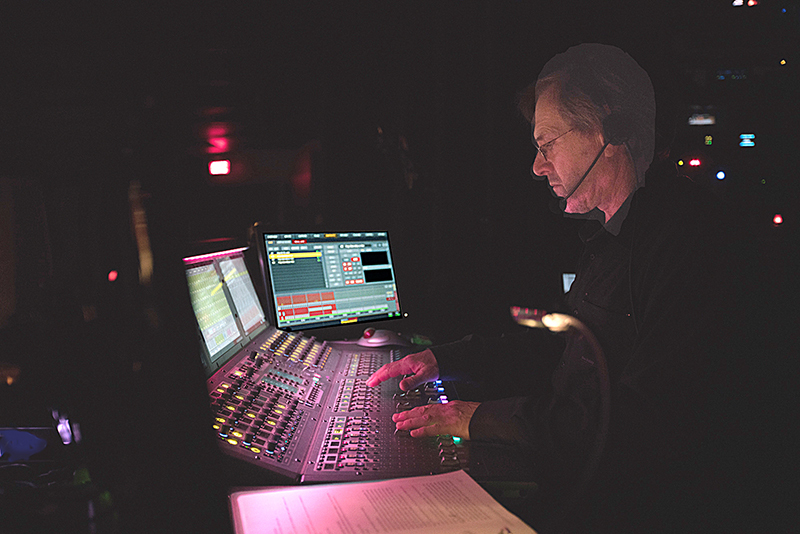 Using AVB audio with a Macintosh computer and a single Cat-6 cable in each venue, 128 channels of 96k Hz playback and record capabilities are available for Pro Tools virtual sound checks in pre-production/creation mode or to be used for playback systems such as QLAB and Live. 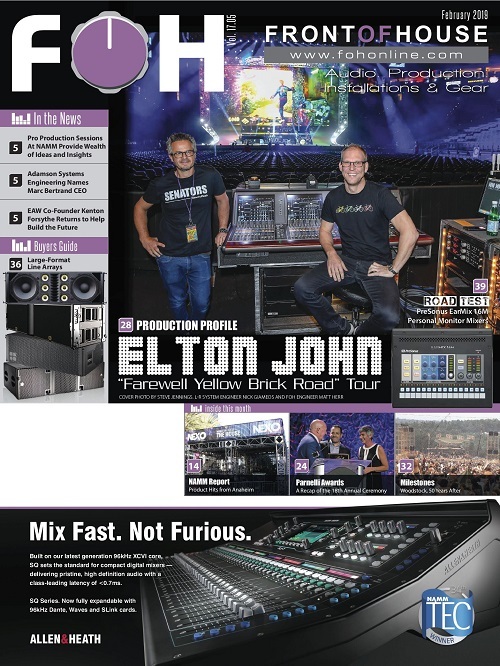 Completely wired in fiber in a ring topology, each venue’s installation provides onstage patch link capabilities to allow to the insertion of a second mix position, with access to all the I/O of the system. With its latest audio enhancements in place and the 50th anniversary of the Grand Théâtre de Québec just a few years away, this crown jewel of Quebec City is poised to continue serving both the Canadian people and the world arts community for decades to come.